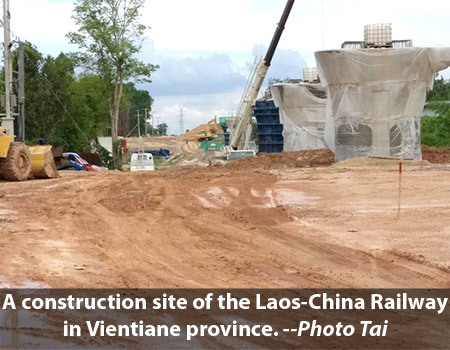 Authorities in charge have approved the amount of compensation to be paid to people who have lost land or other property due to the construction of the Laos-China railway. The government has a policy to ensure reasonable and fair compensation. The Prime Ministerial Decree on Compensation and Resettlement for People Affected by Development Projects states that compensation offered to affected persons must ensure that they enjoy better living conditions or at least have the same facilities as before they were displaced.